A country straddling the continents of Europe and Asia. Turkey has been Geo-politically important for a very long time as the bridge between Europe and the Middle east. The headline really does not say much in itself, but there is much meaning that one can infer from it. Firstly if you hear the term ‘Peshmerga’ this is the Kurdish word for ‘soldier’ effectively meaning Kurdish army. 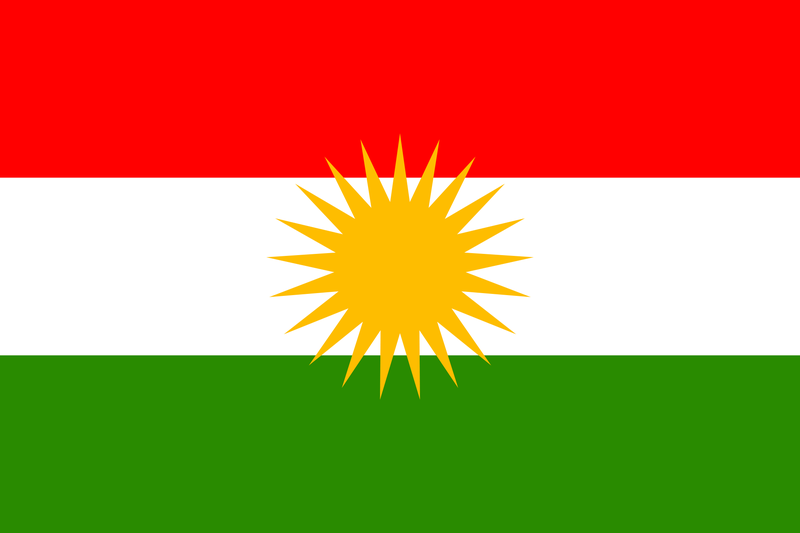 National flag of Kurdistan used since at least 2013. For the hard line cynic there is the fact that western nations will struggle to accommodate the number of refugees that might flood out of Kurdistan and other areas fighting ISIS (aka IS, ISIL). So it would make more sense economically for that fledgling oil state to not be conquered, especially my the murderous fanatics of ISIS. The knowledgeable cynic might also note the USA stayed out of WW2 (for years) by sending military and other supplies to Brittan and its empire to fight Nazi Germany. 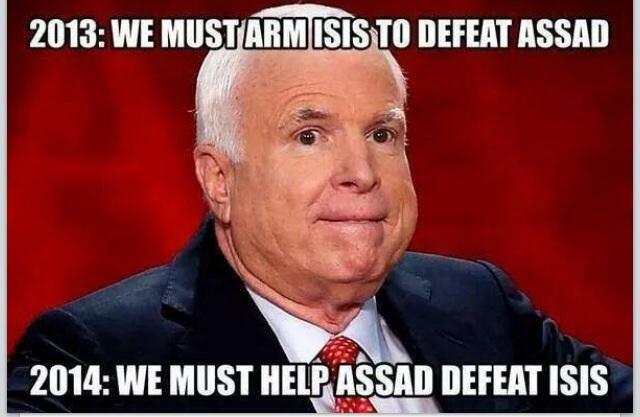 A nationalist cynic would likely prefer to lose gun in the middle east than our own troops. A humanitarian cynic might note that the Geneva convention is being ignored by ISIS and civilians right to live without persecution in Kurdistan (and neighboring areas) is under serious threat. An cynic aware of current ISIS tactic might note that ISIS are a highly mobile ground force using flat deck utes ( trucks) and SUV’s to transport troops and light artillery and AA, so as such they can strike with remarkable speed, and a civilian’s only real defense is to start shooting to slow the advance. 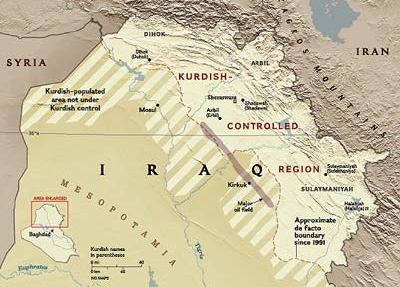 Geo-politically aware cynics might note that the region of Kurdistan (on the borders of Iraq, Syria, Turkey and Iran) controls significant proportions of Iraqi oil, and what we are seeing is a balkanization of Iraq and to some extent the wider middle east with blurry allegiances (and borders) based on religion, ethnicity and tribal affiliations. Historically aware cynics would note that Iraq was a state manufactured by Brittan to join together the Kurds ( of mixed faiths) in the north (who had the oil) the Shia ( minority sect of Islam popular in Iran) in the center and the Sunni’s (majority sect of Isalm) in the south where the British could control the flow of oil through the port of Basra. Cynics who are knowledgeable in the oil trade will know the entire region is full of oil, and the different fresh water sources, oil wells, pipelines, ports and shipping lanes are extremely contentious in term of who controls them. The energy security of many nations depends on the flow of oil both where its flowing to and where its flowing from. There is reason they call it ‘black gold’. *this map is from 2013 as Kurdistan began as a state and prior to the formation of ISIS. Borders may have changed and are indicative only as a rough guide to the region. Kurdistan’s first major victory over ISIS just days ago left Kurdistan in control of Mosul an important dam and fresh water source. It is ironic that the Australian government not only manufactures assault rifles and is willing to give them to foreigners, but not to their own people, who are largely unarmed in their own country. As a final note the guns are not really a gift, there will be demands for oil from Kurdistan in the future. Perhaps the fluidity of power struggles is the nature of the desert, the sand itself shifting endlessly in dunes and ergs. Some very interesting geopolitical analysis ( treating the world as a chess board) relating to OIL, the middle east and the interested parties. It hardly looks all that significant, but your quality of life literally flows through this steel pipe. Who controls these pipes and where they are built or destroyed, is what most wars in the last 100 years have been about. Here is a useful map to help you understand current and potential future political borders in the middle east. The Ukraine is becoming a complex and fast moving conflict with multiple factions having multiple agendas. It seems that this conflict started as a proxy war between Russia/CIS vs EU/US, but additional home-grown factions soon saw their chance to enter the power vacuum. The Crimea has talked of independence so what you have is at least four factions. Some might argue Russia is simply suffering from a bruised ego, but the conflict goes deeper than this. The former USSR states are attempting to for a new USSR called the CIS, a copy of the EU incorporating many of the former USSR states. You might be wondering why Ukraine is so important to Russia and the CIS in this plan. The answer is of course petrochemicals, not oil per se this time, but rather gas pipelines. 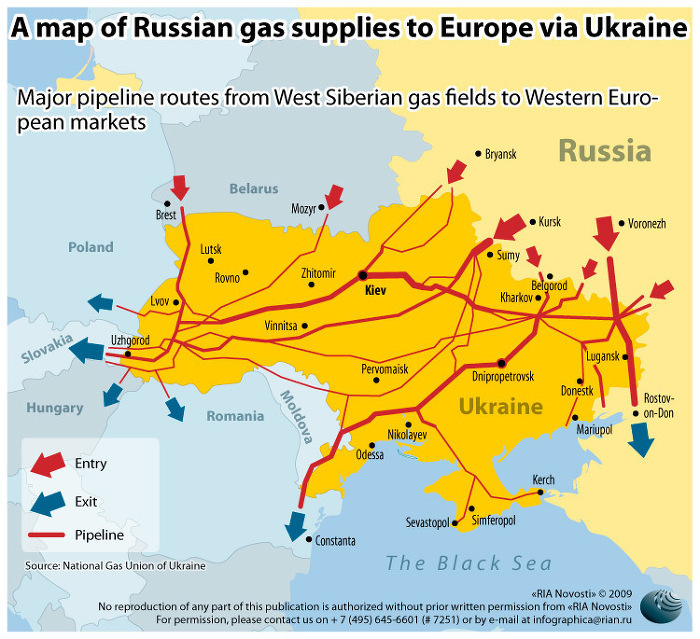 The Ukraine is strategically important have the majority of Russian gas pipelines to Europe, Without the Ukraine Russia has only one pipeline going through Belarus to deliver is gas to Europe. 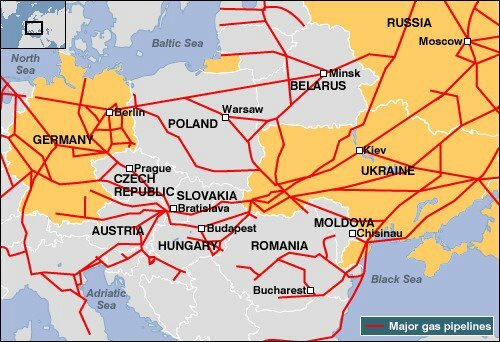 Giving Belarus a monopoly on gas delivery to Europe would make Belarus far too powerful for Russia’s liking, and far too powerful in a proposed CIS. Russia is of course building other pipe lines to be less dependent on the Ukraine and Belarus, but these are massive projects and take significant time and resources to complete. The gas deals are of course very controversial, Yukanovych and Tymoshenko were both implicated in dirty deals and skimming money off gas deals with Russia, and most recently (2010) the controversial Ukrainian decision to allow Russian to keep its black sea fleet in port of Sevastapol, on the Crimean peninsula until 2042. Crimea has wanted Independence from both Russia and the Ukraine for at least a decade. The Crimean Economy is largely based on the two navies stationed there, (the Ukrainian and Russian) the industries that support the Navies. Tourism Is economically significant being a temperate ( and Russian speaking) beach side resort for many people of the CIS. The Crimean does not want to risk bad relations with Russia and the CIS, as the tourism money would disappear. While Russia has other land that borders the Black sea, they have had their navy stationed In Sevastopol since 1783, briefly forced out by the Germans in WW2, so naturally feel they belong there. Sevastapol is part of the Ukraine so the Ukrainian navy feel it should belong there. As a deep water port the Crimean has some interesting advantages, because of its island/peninsula arrangement the Navy can quite easily surround and defend its port from land based attack, This makes it a natural stronghold, not something any navy would want to give up. The black sea flows through the Dardanelles past Gallipoli (which we all should know about) into the Mediterranean (of importance to the EU) and then to the rest of the world’s oceans. This of course leads to somewhat strange situation of two navies both being stationed in the same place, almost a naval cold war. So what this is about is the politics of the middle man. For the Gas pipelines Ukraine and particularly Kiev are able to set the price (and quantity) of Russian gas entering the EU. Controlling this flow of energy and money between two powerful economic blocs makes for significant political power and significant risk of corruption. For whoever controls the Crimea and Sevastopol controls the black sea and its ability to deploy naval and military force in the region. Controlling a geopolitically significant deep water seaport is an extremely powerful tool in diplomacy. Russia wants to build a gas pipeline under the black sea so will need to control the black sea to assure the project and hardly want the additional expense of building a new naval port as well. An independent Crimea would be unlikely to create a naval fleet of its own and would likely take the highest bid to station any interested party, which could be almost anyone, Turkey, US, EU, Iran… This could become a geopolitical lottery, or just Russian Roulette. It’s not easy being an honest middle man. Kurdistan begin selling oil to Turkey, but not via Iraq. 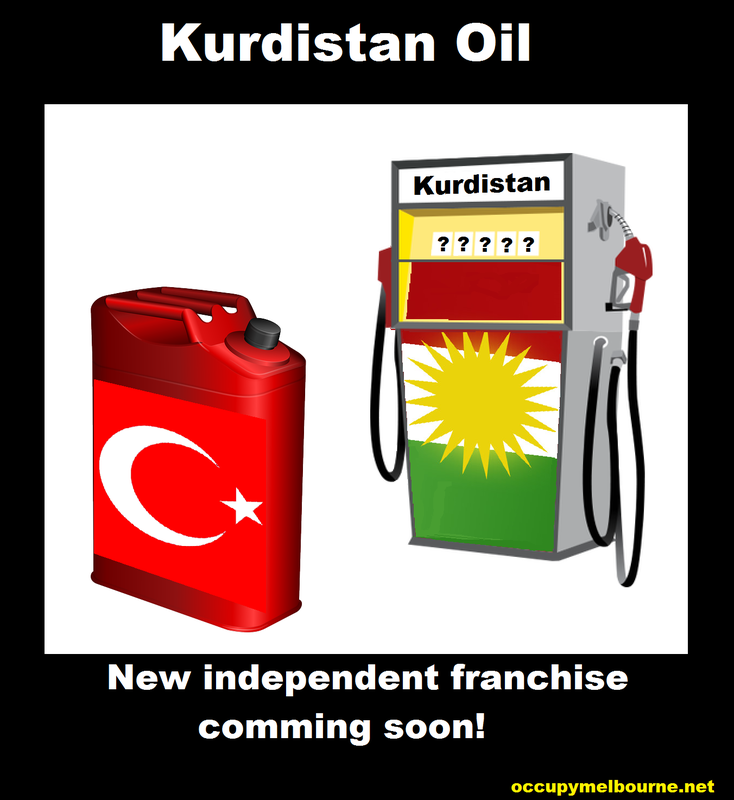 The firs steps towards a new middle eastern nation are being taken today, with Kurdistan beginning sales of oil to Turkey. The Turks have been paying quite high prices for oil lately, so there is at least one satisfied customer but the economic price is just one part of the cost to consider. Iraq is clearly not happy as they feel it is their oil. Kurds might argue Iraq only ever existed (and was created) so that the British could get control of oil and have it delivered to the port of Basra. The geopolitics of oil now have new factor in the complex equations of diplomacy. If Turkey Joins the EU there will be an oil state on the doorstep of the EU. 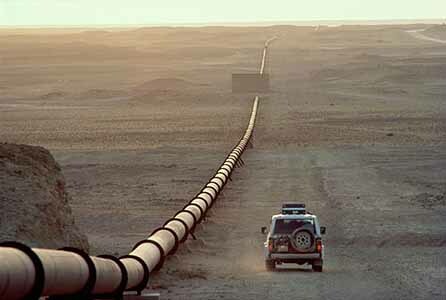 Could a pipeline from Iran to Europe now be more feasible. Will Kurdish people flood to the newly cemented state? Just like a new service station opening up in your town or city there are always flow on effect. Everything in the Middle east just got a little more interesting. Good Luck to the Kurdish people. Kurds already control a region in Northern Iraq, but may want significant parts of Turkey, part of the border region of Iran and even some of Syria and Armenia. With access to the oil trade some of these wishes may be fulfilled, but like any transaction is there a willing seller, and what will be the price? How to show your alarm to the deteriorating situation in your country after a civil rights crack down. Make some noise, show that people are concerned, show that things are not normal. 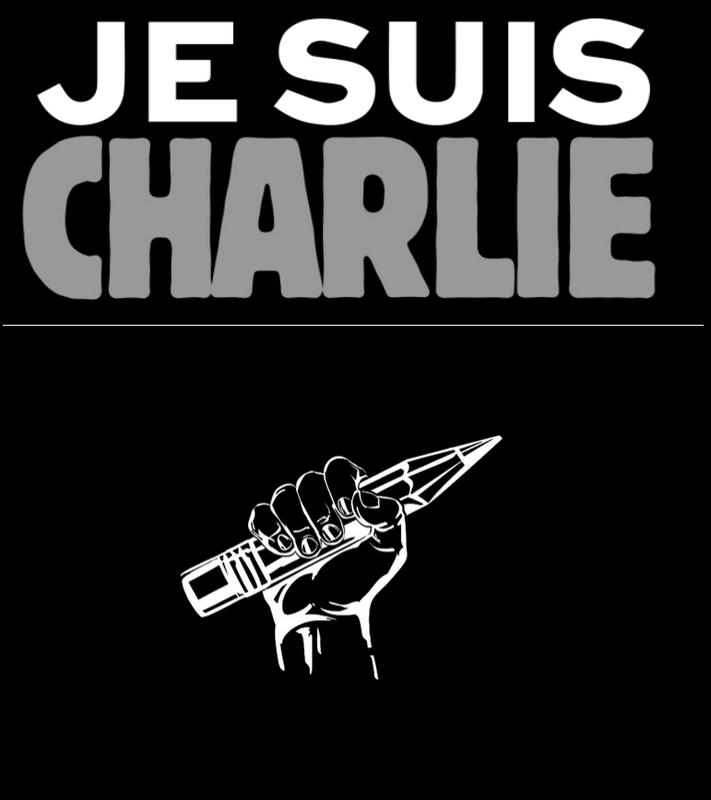 Show that what happened was (and still is ) not acceptable. Good luck to the people in Turkey, I hope you get the changes you are seeking.